There are many reasons why people blog: demonstrating expertise, sharing knowledge, self-promotion, as an aid to learning and so on. I think these are some of the reasons why I blog too but there's also some other things that I notice about myself when engaging with the process of blogging. My self-imposed goal is that I will write something at least once a month. The discipline to keep the blog alive is a powerful enabler for me, especially the closer I get to the end of the month. The timeline gives a kind of structure to my learning that I might otherwise let slip. To write something I must find something that's of interest to my practice. I ask myself the question 'What am I noticing?' and 'What am I paying attention to?' in whatever I am doing. What I notice is that there is always something, in these fragments of reflections, that sparks an idea. I like the ways in which this makes my learning feel constantly renewed. I feel a strong sense of 'walking the talk' of personal responsibilty for learning, through my management development practice and blogging is one way in which I can show this. I am encouraged to keep going when people tell me that they value what I am sharing. Like everybody else, my day-to-day life is full of interactions and it's not easy keeping track of or making sense of what it is I am learning. The permanent recording of my interests in the flow of time provides me with a place for reflection and something that I find really helpful. 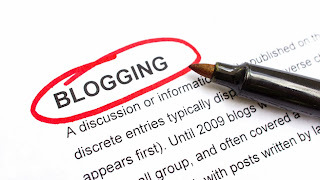 I've added below a few links about blogging which I hope are of some use.